Hard on the heels of the record-breaking Sotheby’s Geneva May 13, 2014 Magnificent Jewels sale, in which an unprecedented seven world records were set, including the highest total ever for a jewelry sale of US$ 143,135,770, Christie’s auction house announced on May 14th, 2014, the successful conclusion of its Geneva Magnificent Jewels Sale, that not only surpassed the auction record set by Sotheby’s, barely 24 hours earlier, for the highest total ever for a jewelry sale, by registering a total sale of US$ 154,193,622, but also setting five other world auction record prices. The auction sold 85% by lot and 94% by value, with 27 lots selling above US$ 1.00 million. The auction was so successful that the 250-lot sale which was expected to achieve a total in the region of only US$80 million, far exceeded all expectations realizing almost double that amount. Altogether six world auction records were set at this landmark Christie’s Geneva auction, which was not second in anyway to the record-breaking Sotheby’s Geneva auction held just one day earlier. A fact that consolidates Geneva’s position as a leading auction center in the world, where the two highest totals ever for jewelry sales were recorded. 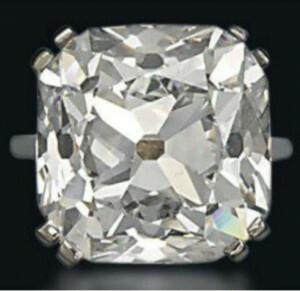 1) The highest total ever for a jewelry auction of US$ 154,193,622. Previous record of US$ 143,135,770 was set at Sotheby’s Geneva just a day earlier on May 13, 2014. 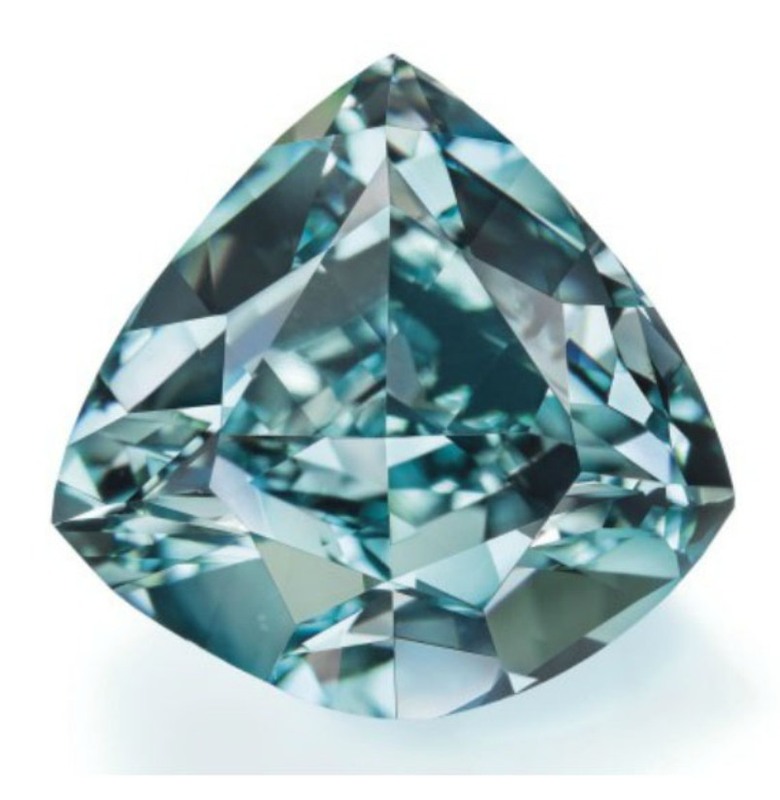 2) World auction record price-per-carat for a blue diamond of US$ 1,799,953, set by the 13.22-carat, pear-shaped, flawless, fancy-vivid blue diamond, that sold for a stunning US$ 23,795,372 at the auction. Previous auction record for price-per-carat for a blue diamond was held by the 6.01-carat, cushion-cut, fancy-vivid blue diamond that sold at Sotheby’s Hong Kong in October 2011 for US$ 10.1 million, equivalent to US$ 1,680,532 per carat. 3) World auction record for a light-pink diamond, set by the 76.51-carat, cut-cornered square-cut, VVS1-clarity, light pink diamond set as the centerpiece of a pendant, that sold for US$ 10,172,073. 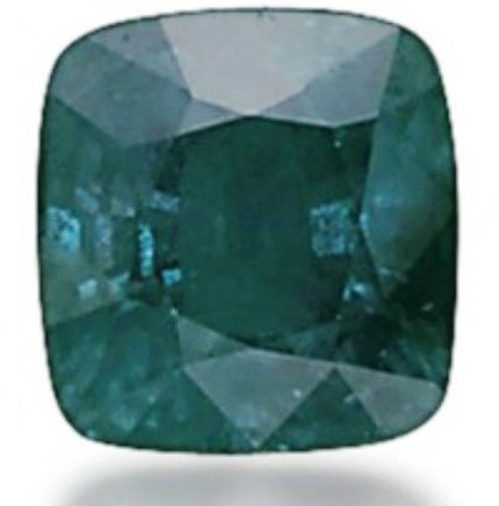 4) World auction record for a blue-green diamond, set by the 5.50-carat, triangular-cut, SI1-clarity, fancy-vivid-blue-green Ocean Dream diamond, that sold for US$ 8,781,637 at the auction. 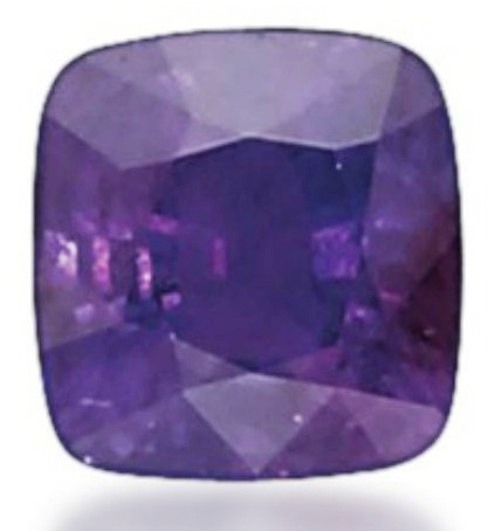 5) World auction record for an Alexandrite, set by the 21.41-carat, cushion-cut Alexandrite of Russian origin, with no indications of treatment and a distinct color change from green to purple, when the sources of light changes from sunlight to incandescent light or candle light. The price of US$ 1,495,395 is an auction record for an Alexandrite. 6) World auction record for a pink sapphire, set by the 49.04-carat, cushion-cut, Ceylon pink sapphire mounted on a silver ring, certified untreated with a vivid color, excellent purity and attractive cutting style. 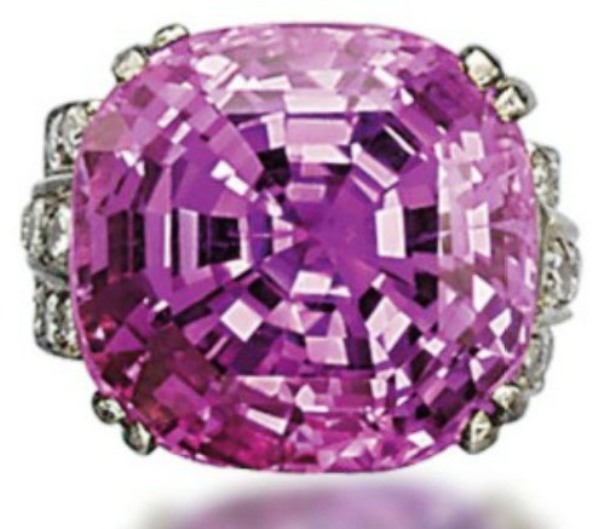 The price of US$ 2,037,123 is an auction record for a pink sapphire as well as a Ceylon pink sapphire. The next highlight of the sale was Lot 259 – A Belle Epoque Diamond Devant-De-Corsage Brooch, by Cartier – which realized a staggering US$ 17.5 million, a 660% increase over the price of US$ 2.65 million realized by the same brooch, when it first appeared at a Christie’s Geneva auction in 1991. 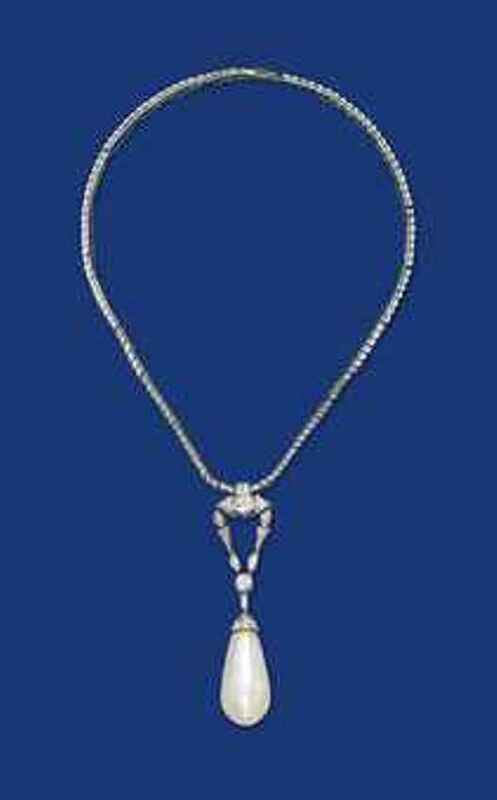 The pendant, designed around year 1912 centers upon a pear-shaped diamond, weighing approximately 34.08 carats, an oval-shaped diamond, weighing approximately 23.55 carats, and a marquise-shaped diamond, weighing approximately 6.51 carats, enhanced by Lily-of-the-valley links set with circular-cut diamonds, and suspended from two detachable similarly-set lines, each with a pavé-set old-cut diamond palmette terminal, mounted in platinum. The lot is accompanied by three lab reports by GIA, one certifying that the 34.08-carat, pear-shaped stone is an E-color, VS1-clarity, Type 1a diamond; the second certifying that the 23.55-carat, oval-shaped stone is a D-color, VVS2-clarity (potentially internally flawless), Type IIa diamond; and the third certifying that the 6.51-carat, marquise-shaped stone is a D-color, VS1-clarity, Type IIa diamond. A pre-sale estimate of US$ 7.4-12.0 million was placed on the corsage which sold US$ 5.5 million above the upper estimate for US$ 17.5 million. Another top lot of the sale was Lot 189 – A Magnificent Unmounted Diamond – that sold for US$14,722,588 between the pre-sale estimate of US$ 14,000,000 – 16,000,000 . 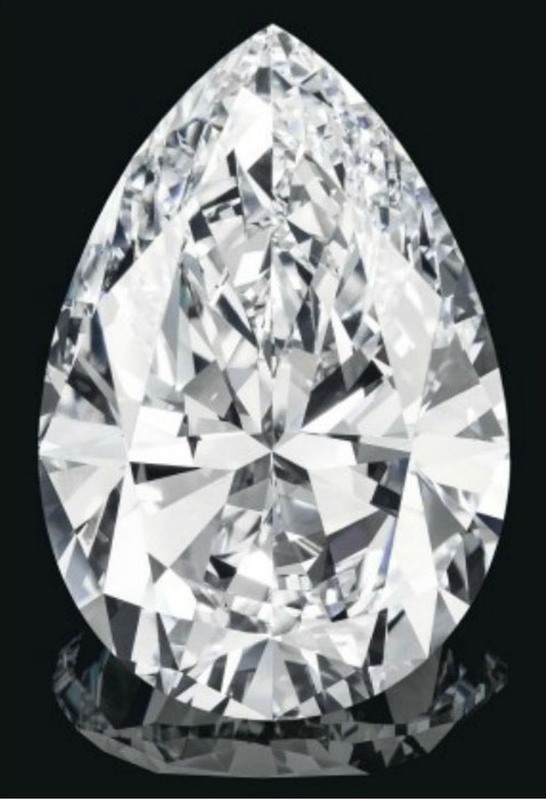 The diamond has a combination of desirable characteristics, such as a perfect pear-shaped cut, highest clarity of flawless, D-color or Top-color, with an impressive weight of 75.97 carats. The GIA further certifies that the diamond is rare Type IIa, that confirms the absolute colorless status or D-color of the diamond. Lot 258 – The Rajah Diamond – is another highlight of the sale, that sold for US$ 4,104,719 within the pre-sale estimate of US$ 3,100,000 – 5,100,000. The 26.14-carat Rajah Diamond is an old-mine brilliant-cut diamond, with a D-color and VS2-clarity, but potentially internally flawless as certified by the GIA. 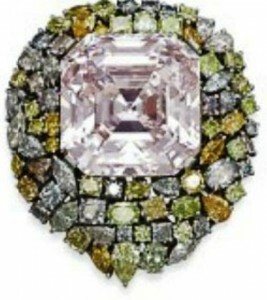 The diamond is Type IIa, that confirms the absolutely colorless status of the diamond, known as Top-color or D-color. 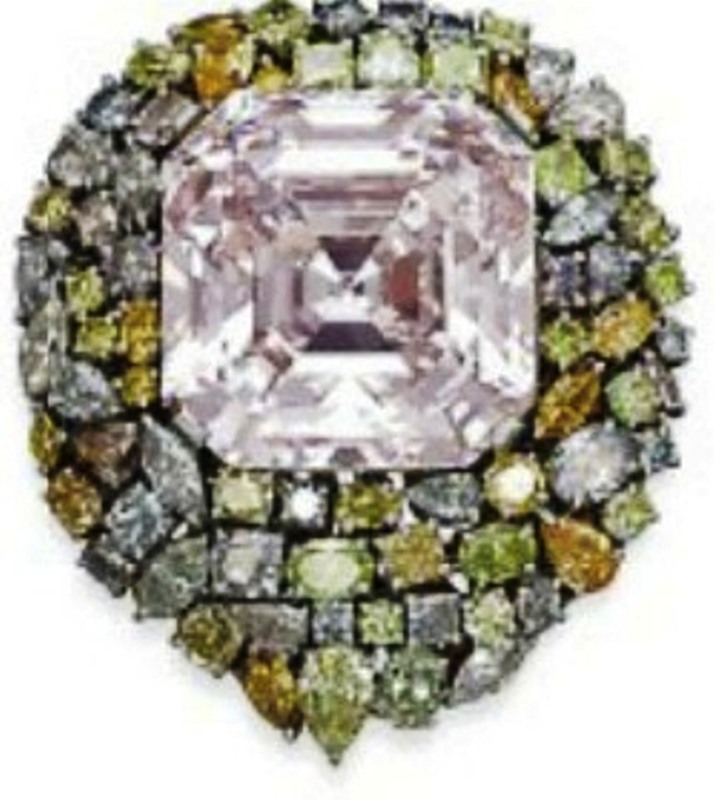 The Rajah Diamond and the previously considered Belle Époque Devant-de-Corsage brooch are two of the 14 jewels belonging to the Collection of an European Gentleman, characterized as “A Passion For Jewels” which featured at this auctions, and achieved an impressive total sale of US$ 32,015,289. The Rajah Diamond, belonged to Mrs. Mary J. Morgan (d. 1885), second wife of Charles Morgan (1798-1878). Little was known about Mrs. Morgan’s collection of works of art and jewellery until it was auctioned in March 1886. Tiffany & Co. bought two important diamonds from the collection, including The Rajah and sold them within a month to another Bostonian socialite, Mrs. Isabella Stewart Gardner, the collector and philanthropist who founded a museum of the same name. In 1924, the diamonds changed hands again and went into a private collection until 1997, when Christie’s Geneva sold The Rajah for the first time above its pre-sale estimate of SFr.1.8-2.2 million. Lot 182 – A Colored Diamond Ring – was the next highlight in terms of price realized. 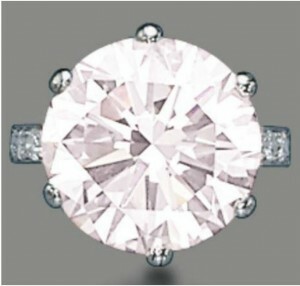 The centerpiece of the platinum ring is a fancy-light pink, round brilliant-cut, VVS1-clarity, Type IIa diamond weighing 11.11 carats. 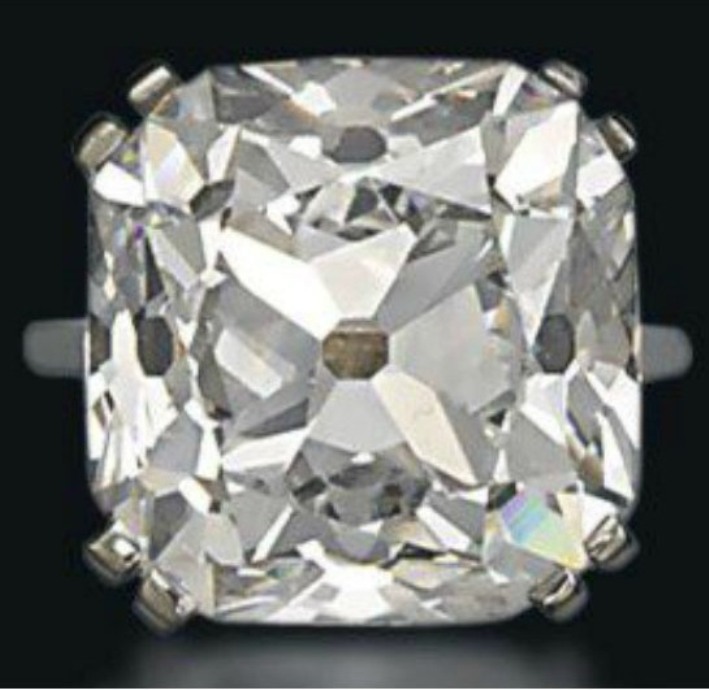 A pre-sale estimate of US$ 1.1-1.5 million was placed on the ring which was sold for US$ 3,346,299, equivalent to three times the lower estimate and twice upper estimate. Lot 149 – An Impressive Natural Pearl and Diamond Necklace – that sold for US$ 3,093,493 was the next highlight of the sale. 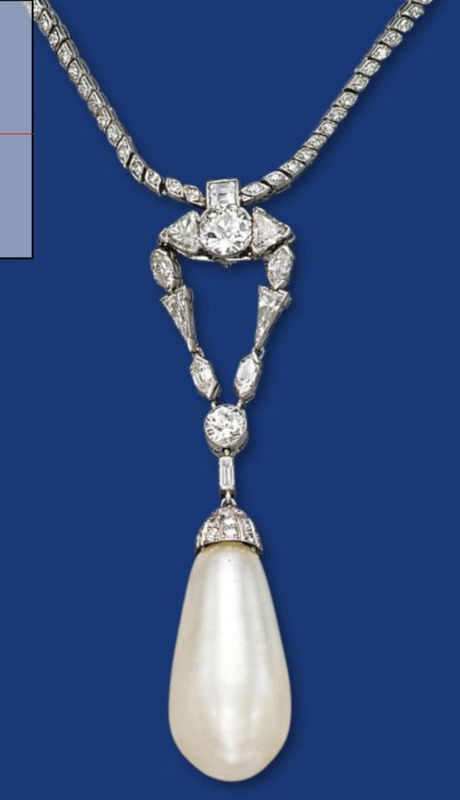 The centerpiece of this necklace is a drop-shaped natural pearl, measuring approximately 16.5-16.0 x 31.5 mm, with diamond-set cap and fancy-cut diamond chain surmount, suspended from a detachable diamond-set link chain designed in the 1920s. Length of chain and pendant 38.0 cm and 8.0 cm respectively. A moderate pre-sale estimate of US$ 570,000 – 790,000 was placed on this necklace, which sold for a much-enhanced price of US$ 3,093,493, which was 5.5 times the lower estimate and 4 times the upper estimate. The Natural Pearl and Diamond Necklace is the top lot of the collection of jewels from the Estate of Baroness Thyssen-Bornemisza de Kaszon consisting of twenty pieces, which featured at the auction. The impressive pearl was in the personal jewellery casket of Queen Elizabeth of Prussia (1801-1873). Upon her death her jewels were given to the Crown Treasury. 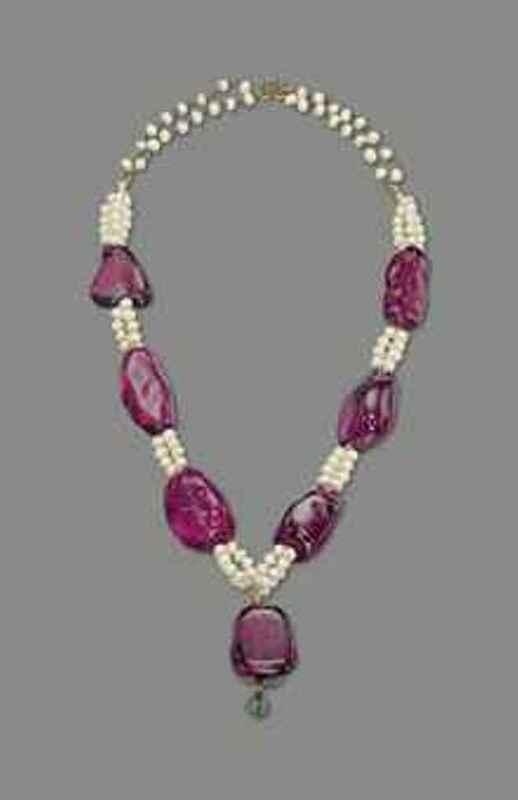 When Empress Augusta Victoria and her husband William II had to leave Germany to take exile in the Netherlands in 1919, the pearl and other jewels accompanied them. After the Empress’ death in 1923, William II sold the jewels, including the pearl, via the Swiss gem dealer Alphonse de Sondheimer, who listed the impressive pearl in his inventory made in Doorn. How the pearl entered the Baroness Thyssen-Bornemisza’s collection is not recorded but her husband, Baron Heinrich Thyssen-Bornemisza was also living in exile in the Netherlands, escaping Hungary, at the time of the private sale of the Royal Prussian jewels and presumably purchased it during the time. Apart from the 21.41-carat Alexandrite of Russian origin (Lot 224) and the 49.04-carat Ceylon Pink Sapphire (Lot 186) already considered, other significant colored stone lots also featured at the auctions. Lot 175 – A Sapphire “Toi et Moi” ring and Lot 177 – A Rare and Important Spinel Bead and Cultured Pearl Necklace are two such lots. 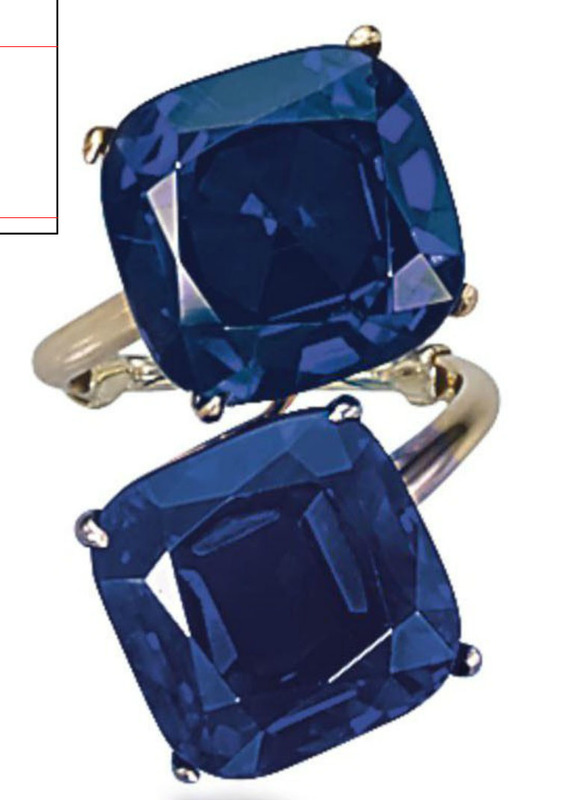 Lot 175 – A Sapphire “Toi et Moi” ring – is set with two cushion-shaped sapphires, one a Kashmir sapphire weighing 15.62 carats and the other a Burma sapphire weighing 16.16 carats, certified both by GGL and SSEF. A pre-sale estimate of US$ 850,000 -1,400,000 was placed on the ring, which sold for almost double the upper estimate for US$ 2,714,283. Lot 177 – A Rare and Important Spinel Bead and Cultured Pearl Necklace – is composed of seven Mughal engraved spinel beads with cultured pearl strand spacers, and dyed green beryl finial, mounted in gold. The spinel beads are from the 17th-Century and of Indian origin. However, the necklace is of modern design incorporating cultured pearls. 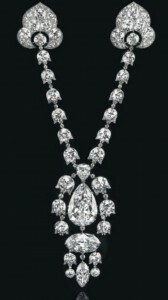 A pre-sale estimate of US$ 1,600,000 – $2,000,000 was placed on this necklace which was sold within the estimated range for US$ $1,833,975.